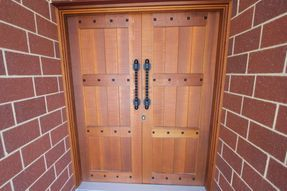 The Solid Timber version of the above doors. 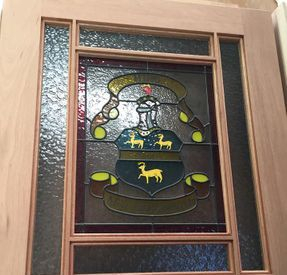 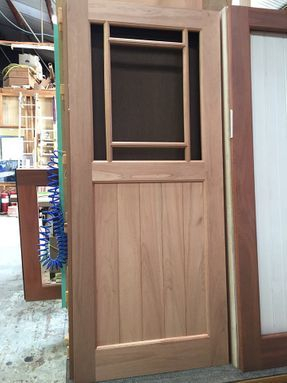 This door will hold a beautiful stained glass design. 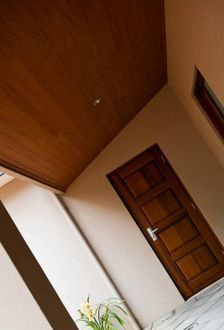 Will add photos when available. 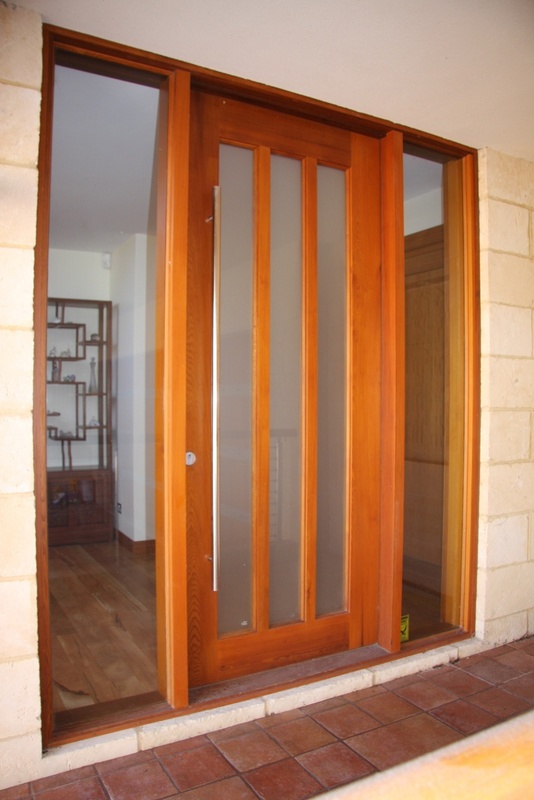 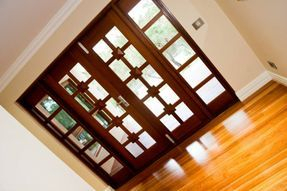 Its a 1200mm wide Solid Jarrah Pivot Door. 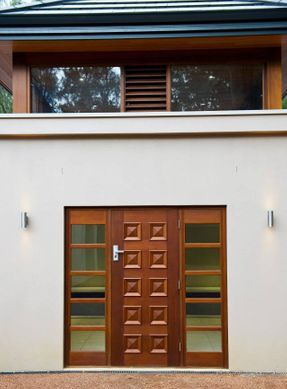 If you are after something simple then this one might be good for you.